I wish I was at camp. I wish I was at camp too. Bella we missed you yesterday! I was at the Deadness Thing for my grandma. Funerals are odd in that they're sort of fun family reunions minus the fun. I shouldn't say that -- there's still fun around the edges, but sometimes the funny stories take a sharp turn and you find your eyes brimming over, or someone else's voice cracks mid-story and everyone's left fumbling in an unexpected pause of silence. I'm sorry, I only just heard that you recently lost a child. You know, my mother had a baby who died. Gregory. He was three days old. They say he choked, probably on phlegm that no one then thought to rid him of. He was perfect. My mother couldn't speak of him for years without fully breaking down. I grew up knowing my brother that I never knew. 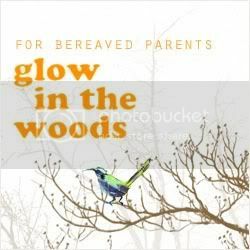 You can't know how relieved this made me -- not that there was another deadbaby in the family tree, but that here was this grown, totally sane, well-put-together smart beautiful woman with a family of her own who had gone through this. Whose mother had gone through this. She in no way looked as though she were living under a bridge, and though I've only seen about 10 minutes of Jerry Springer and a grand total of five or so Oprah episodes, she didn't look familiar from either milieu. Phhhhheeeeewwwwww. I told her how much I now appreciated the silver lining of being able to talk to Bella straightfowardly about things like Grandma's death and funeral, and Bella exemplified this moments later by delicately tiptoing on the fresh mound of dirt covering my grandmother in order to see what flowers were still alive after last week's burial. No fear, this one, King of the Hill of Death. The cemetery in which my grandmother is buried is older than some, but for this region decided not "old" -- I think the stones closest to the church date back to the early 1800s (this was indeed a stretch of road where Washington rode and slept, and some of the churches just up the street must have older occupants), which give way to the recent, as you walk back through the yard, to the last row where my grandmother now lies. I always pause at the military stones to read which war, and how old. (There's a veteran of the Spanish-American war in the same column as my grandmother a few rows back, and I've already promised myself when I go to plant pansies and bulbs by my grandmother, I'm weeding his place and tidying up.) As a historian I'm always fascinated by family structures: how many wives/husbands over time, how many children, elderly sisters who are buried as neighbors. Now of course I laser in on the children: fourteen years old; ten years; three, one, and then . . . there it is. A life measured in days. At some point in early July, when I realized summer was getting away from us and we weren't going to the Outer Banks because the family that we usually meet up with there had decided to go even farther southward (should we take this as a message? ), I suggested that we quick find a close beach getaway for a few days or a weekend in August. I hope that laughing I hear is with me, not at me. August obviously got sucked into a maelstrom of houseguests, grocery runs, meals, trips to the country, funerals, services, cleaning up and out my grandmother's things, and that ever familiar drive-through of grief. I'll take the usual. So last Monday, I piped up -- mostly to myself -- let's go to the beach! And go we went, to a close one, for two days and one night. Beach for Bella, brewpub for us. It was unseasonably chilly, extremely windy, overcast; there were tidal warnings, red flags, anxious life guards; wind burn, sand in every orifice . . . . . and it was AWESOME. The sand was clean and soft and perfect for castles, we bundled up in our covers and rash guards (save Bella, who is a leper when it comes to water, and ran around in her swim suit as if it were a sunny , still 92 degrees), read, napped, watched a pack (school? herd?) of dolphins swim by, oogled at the parasurfers, ate, slept, and went back for more. I made no decisions. I didn't make a meal. It was a slice of heaven. Now I'm back staring at the yard I didn't weed for a month, the list of school supplies I didn't shop for, the soccer gear I need by next weekend, the garden that needs tending, the fridge that needs disinfected and I'm wondering, where did summer go? I could point to times when it was fast, and times when it was slow. Overall, it was . . . disappointing. I'm going to eat home-grown beet salad for dinner, and look forward to Fall. The cemetery in AL, where my grandpa and great grandparents, et al, are buried has a spot that I often used to look at when I was a kid. A relative, and the relation I forget, is buried next to her 14 children who died. Most either died at/prior to birth or within hours of it, although some lived a few days. As a child, I remember thinking "How terrible" and as an adult, I realize that my sentiments never even came close to the truth. I'm glad you got to the beach, but I'm so sorry about your grandmother. The more you say about Bella, the more wonderful I think she is. How nice of your mom's cousin to talk to you about Maddie & tell you about her brother. Makes you feel like you're not the family oddity, doesn't it? And isn't it amazing how these stories come out of the woodwork? What a touching post. Thank you, Tash. So sorry about the loss of your grandmother, but it seems like it was a peaceful end to a lovely life. And so glad your cousin was able to talk with you. I wonder though, does it sometimes make it harder when one side of the family gets it and does the right things, while another side is busy being asses. In any case, glad you were able to find that connection. And love the deadness thing - kids sometimes express it the best, don't they? Mmmmm, beet salad, I'll bring the wine and be right over. How refreshing for the cousin to be so upfront and not fear that you might turn into a pillar of sand at the mere mention of Maddy. I always think we should have the funeral, if at possible, before they die (assuming the death is at the end of a long life, etc...) so that the person who is doing the departing can enjoy the last hurrah and share in the memory. I know, I'm weird. Fall is my favorite season, too bad I live in a place where it is usually skipped over amounting to a mere switch from 100 degree heat to the mid to high 70's if we're lucky. Last year, not so much...but I refuse to give up hope. Ack, did I say that? I'm so sorry for your loss, Tash. 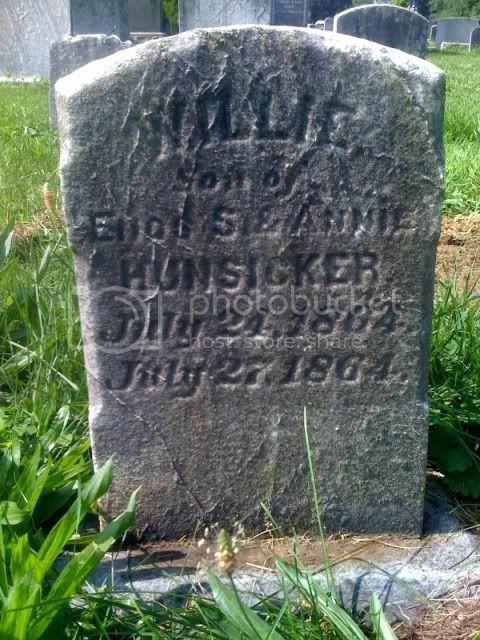 I love to look at the headstones in cemeteries and imagine who these people were and who loved them. We're in the Midwest, and the cemetery that holds watch over my neighborhood is the oldest around. I like that it's there. And no, I'm not a goth. It doesn't fully express what I mean to say, but I am so truly sorry for your loss. Thank you for sharing her with us. i used to walk the kids in the local tiny old cemetery when i was pregnant. i love cemeteries. after paige died, i realized that, even through all the reading and walking, i never really noticed the babies and children. how could i not notice that? it was like a whole world, not a particularly nice one, opened up. but we all know about that, don't we. every nutty crazy psycho woman in a movie or show turns out to be one of us. it's all around, yet invisible. until. funerals...yeah. my loud spanish side of the family makes no bones about having total get-down PARTIES. very weird. I used to wince at children's gravestones; it was hard to look at them. Now I can't turn away. Glad your mom's cousin was kind, sane, and sympathetic. you know over here we can't wait for the freakin' summer to be over... I like Fall, to me the season of the glorious dying. I loved how Bella said "that Deadness thing", it made me laugh. This is the most perfect thought: "Funerals are odd in that they're sort of fun family reunions minus the fun." Many people from my family are buried near each other in the cemetery, so after the funeral for one, the older generation usually walks around the plots and "visits" the others and talks about them. My cousin (my age) and I were walking with our arms linked after the last funeral, trailing after the other grown-ups, and my cousin turned to me and said, "that will be us in 50 years, still walking arm and arm like old ladies but now actually old ladies." And it was a sobering thought, how time is going to keep moving and the scene is going to keep replaying. I'm glad you connected like that with your mother's cousin and got to see a glimpse of Bella's future--that openly discussing it and children having knowledge is a healthy thing. 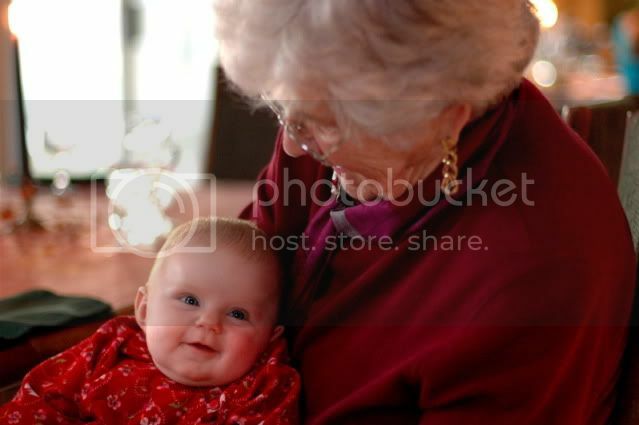 That's a lovely pic of your grandmother and Bella, one to treasure. Ummm..I never comment because I never feel like I have much to add. But I think it's a pod of whales. And I like the deadness thing. Another great, very eloquent post Tash... I'm getting ready for one last dash-to-the-beach myself. I remember thinking that at my grandfather's funeral - that funerals are family reunions without the fun. You see so many people you haven't seen for ages and you're glad to see them and talk to them and then there is this hiccup of sadness which suddenly reminds you of why everyone is gathered there. I feel the same about summer, it is already over and I feel it was just getting going.